Stewart Jackson, who advised ex-Brexit Secretary David Davis, said the Prime Minister’s roadmap for leaving the EU was a “gross betrayal”. In an explosive interview, Mr Jackson also accused Mrs May of “not even trying” to strike a beneficial deal with Brussels. He told Express.co.uk: “The Chequers plan won’t help deliver an honest and authentic Brexit. It represent a surrender. “It’s the worst of both worlds – it’s a half-in, half-out purgatory. The Tory party doesn’t like it, and nor does the country as a whole. 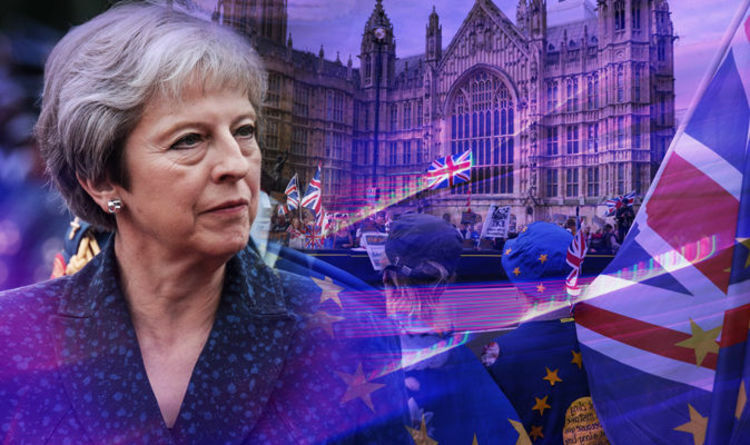 “The Prime Minister is betraying the promises on Brexit made in last year’s Tory manifesto and in her Lancaster House speech. “She’s making a very serious strategic error in these negotiations. She looks weak, and she lacks courage and imagination. “As Boris Johnson recently said, we’re seemingly not even trying to get a good deal. Under the Chequers plan, the UK would quit the EU’s customs union and single market but agree a ‘common rulebook’ with Brussels. This would mean Britain remaining subject to EU regulations on goods in order to secure a post-Brexit trade deal. But Mr Jackson, who was the Tory MP for Peterborough between 2005 and 2017, poured cold water on the proposals. He said: “The facilitated customs agreement is ill-thought out. It won’t work because it’s so costly and bureaucratic. “It’s effectively like remaining in the customs union because we’ll be tied to the regulatory regime of the EU. His comments came as Nathalie Loiseau, France’s Europe minister, rejected Theresa May’s Chequers blueprint. Ms Loiseau, a close ally of French president Emmanuel Macron, claimed the UK was trying to ask for more rights than full member states. Taking a dig at Mrs May’s negotiating stance, she told the Evening Standard: “EU law is not subject to negotiation. “We will not redefine our basic principles because the UK doesn’t want to belong to the European Union any more.